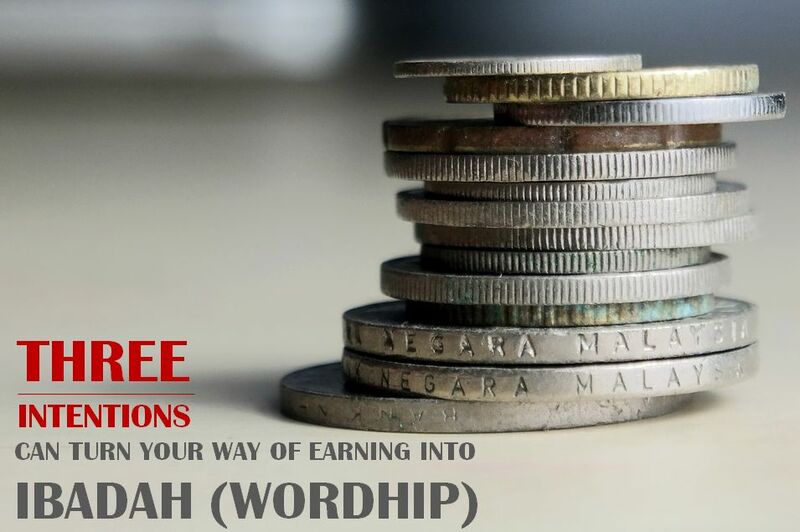 Three Intentions that can turn your earnings into 'Ibadah (worship) ~ Islam My Ultimate Decision . There are always two ways of doing the same thing: For own leisure and pleasure or to please Allah. And anything we do as a Muslim and firm believer with the intention of pleasing Allah or walk they way as we have been commanded and directed by the Allah, we are blessed in many ways like increase in our earnings, shower of blessings on our families beside being rewarded in the hereafter. Fulfill one's daily needs - This is important as if one if not healthy and energetic, he will not be able to sustain his dependent family. Take care of all needs of family dependent on him - this should include their needs like food, shelter, clothing, education, health and entertainment. Helping the poor and needy and spending in way of Islam. (And give them something yourselves out of the wealth of Allah which He has bestowed upon you. [ Al Quran Surah An-Nur, 24:33]) - We have already written a detailed post on charity, both obligatory (zakat) and voluntary. One should not forget one's poor relatives, neighbours and others in need of financial assistance. A part of one's earning should be devoted to this and one should make an intention that whatever one would earn, a portion of it will be diverted for the wellbeing and welfare of people not dependent on him. Then whatever we earn and spend in the rightful way will be considered as Ibadah (worship) for these three intentions to earn money and to sustain not only self, one's dependent family and helping the needy and the poor is in fact the only purpose of life of a believing Muslim. 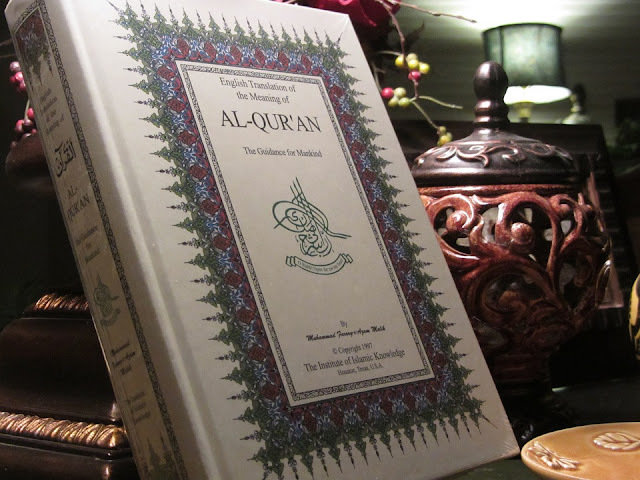 So have noble intentions of earning money with the aim that “I am earning so as to eat well to gain strength to be able to worship Allah and do good deeds for His sake and to earn His pleasure.” A Muslim is obliged to keep himself from abuse to fulfill the obligations as well as try to keep the priority in everything, including in money matters. However, if the intention of earning money is to amass wealth, even if earned through legitimate means, for one's leisure and worldly pleasures, or to to show off one's status based on one's wealth and with the intention of lowering others by such manner, one has lost the opportunity to make his earning turn into 'Ibadah (worship).